Remove me from email messaging by all Kohler-owned business email communications. Please click SUBMIT when finished. 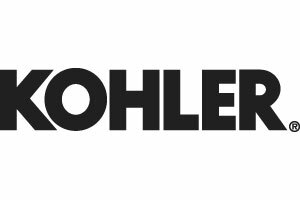 Subscribe to see the latest bathroom and kitchen designs from Kohler and be among the first to see our new-product launches. Sign up to get ideas for residential spaces including products designed to meet ADA, LEED and other certifications. Subscribe to receive information about the latest KOHLER products along with helpful installation tips and resources. Sign up to get bathroom and kitchen project ideas including information about KOHLER products designed to make remodeling easier. Stylish, durable kitchen and bath fixtures, inspired by the realities of life. Si estás interesado en conocer nuestros lanzamientos, creativas soluciones de diseño e interesantes tips, el boletín de noticias Kohler está diseñado para mantenerte actualizado. Here you will find information from the Kohler family of brands. Get the latest resort news, packages and exclusive rates for lodging, golf, spa and upcoming events. The Destination Kohler e-newsletter will help guide your vacation planning. Ideally situated just yards from Lambeau in the heart of Titletown plaza, LODGE KOHLER is a hotel unlike any other in Green Bay. Stay connected with the latest events in and around the Village of Kohler, including information and special shopping, dining and spa offers. Welcome to Kohler Waters Spa at The American Club® in Kohler, Wis. Our monthly e-newsletters keep you updated on what’s happening. Your enhanced Sports Core experience begins by telling us a little about you and the activities you enjoy. As a subscriber to our e-newsletter, you will be informed about upcoming events, special packages and other interesting and exciting opportunities while visiting St. Andrews. Welcome to Kohler Waters Spa at in Burr Ridge, Ill. Our monthly e-newsletters keep you updated on what’s happening. Explore the flavors of KOHLER Original Recipe Chocolates to their fullest with a subscription to our e-newsletter. Industrial gas and diesel generators, transfer switches, paralleling switchgear, controllers and mobile generators deliver up to 4-MW of power. Whatever the weather, when the power goes out, a reliable KOHLER 6-to 150-kW standby generator automatically restores power to your home or small business in as little as 10 seconds. Get the power you need where you need it most. Whether it’s campsite or jobsite, you can depend on KOHLER 1.8-to 12.3-kW portable generators, inverters, water and trash pumps. KOHLER Marine generators, from 6-to 500-kW diesel models, are designed for a wide range of pleasure craft and commercial marine applications. Tile and stone in customized colors and patterns. Artistic tile, stone and plumbing products for imaginative, personalized spaces. Elegant, custom bathroom and kitchen fixtures. Simple elegance, singular artistry. Faucets, fixtures and suites for the bath and powder room. Mirrored cabinetry, lighting and accessories characterized by sophistication and unparalleled craftsmanship. If you experience problems using this form, or are already subscribed, please contact us for help.